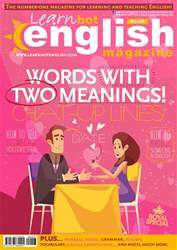 Our monthly look at interesting words and expressions. 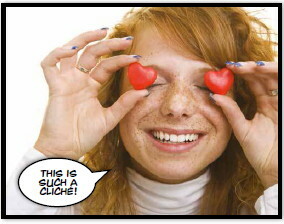 A cliché is an expression that has been used so often that it starts to sound ridiculous – repetition makes it “clichéd”. In some cases, the original expression has completely lost its meaning because it’s been overused – it’s become a cliché. Although the ideas in the cliché may still be true, they aren’t taken seriously and are considered unoriginal. However, clichés are still commonly used. In fact, people often use the cliché in a sarcastic / ironic / funny way, saying something like, “Excuse the cliché, but” or, “I know it’s clichéd, but” Here are some common clichés. Do you know what they mean? Match the clichés (1 to 4) to the meanings (a-d).